A home cooked meal the way your mother cooked. Nutrition the way you want it so it tastes so good. For the kids we have Kid’s Night is every Wednesday from 4 – 9 pm! Kid’s Meals are only $2.50 and they come in a cruise car! Collect all 30 cars! 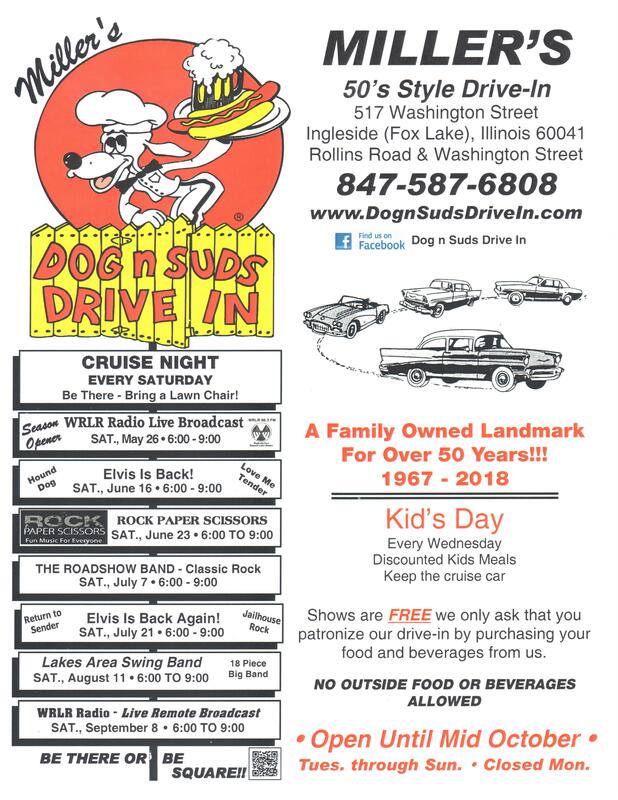 50's Style Drive In With Car Hops, Picnic Area, and Carry Outs!! Listed in Car Craft Magazine as one of the Top 5 Cruise Spots in Chicagoland. Since 1967!